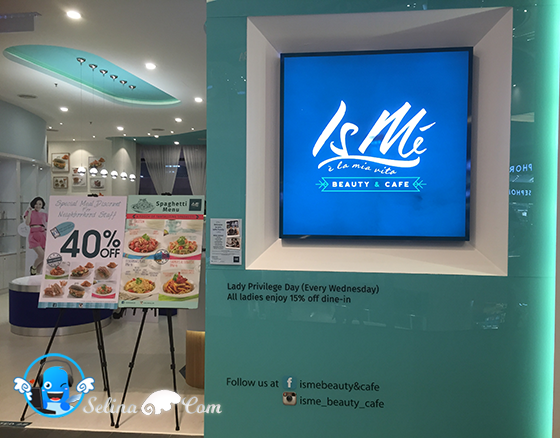 When I heard of IsMe Beauty & Cafe, I thought it is just a normal cafe that sells food and drinks. Little did I know that it's a beauty + cafe concept kind of cafe! At the first glance of this cafe, you willl see all the beauty products display on the counter and you would think that this is a facial centre. 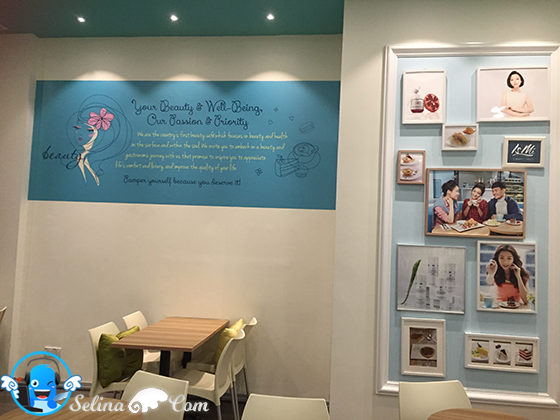 But by taking a closer look, you will see a variety of foods displayed on the wall and menu stands. Apparently this kind beauty + cafe concept is really popular in oversea. For example, there is a Dior beauty + cafe in Seoul and as we all know Dior is a renowned fashion and make up brand in the world. 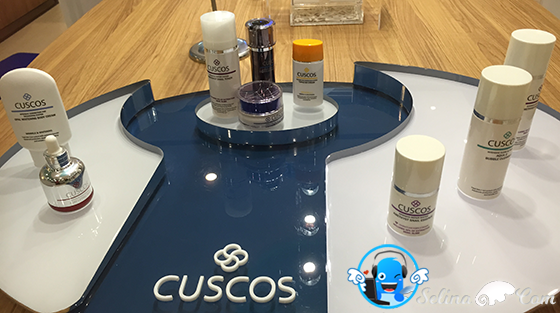 IsMe Beauty & Cafe is selling 2 different brands of facial products from USA and Korea which are IsMe and Cuscos. 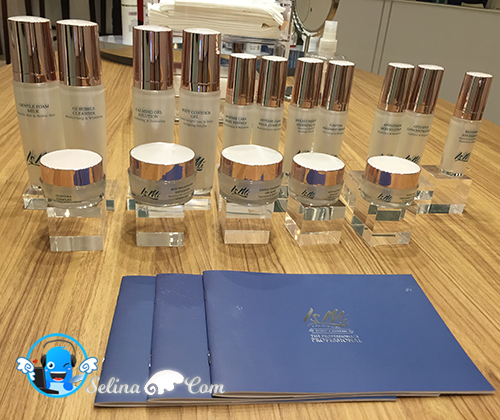 They have beauty consultants working in the cafe that helps to provide detailed explanation of each products and whether the products suit your skin or not. 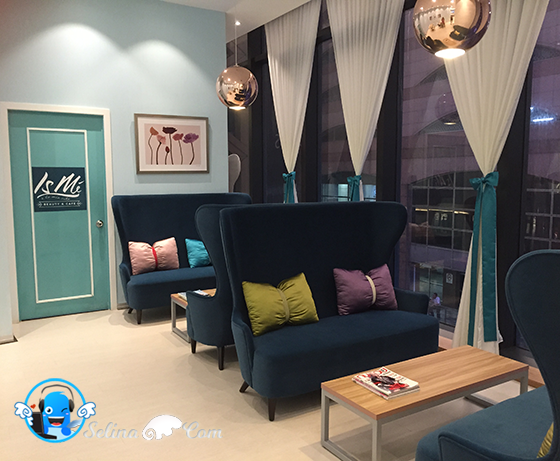 I really like the interior of IsMe Beauty & Cafe too! 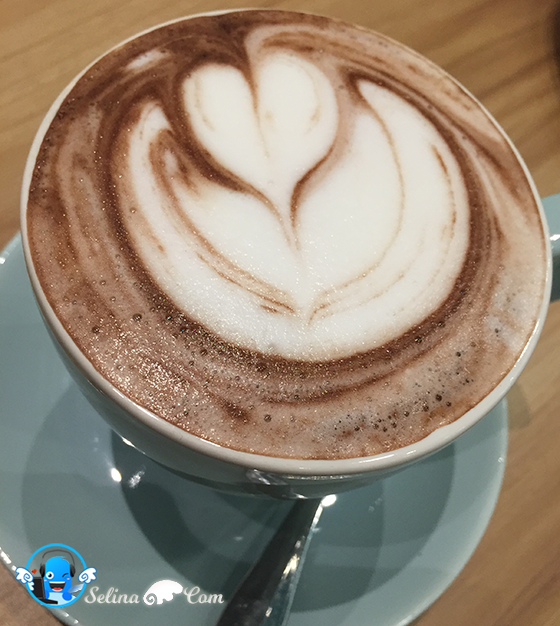 The baby blue colour wall really relaxes anyone that steps into their cafe and they also have a secluded area where big sofas with comfortable pillows for groups of people that requires privacy. The cafe really does give out a soothing relaxing feeling for all their diners! I feel so relax and happy when I was there. The food is tailored made for women! They have a nutritionist that helps to create the menu and all of the meals in the cafe is under 400 calories! This is every girl's heaven! 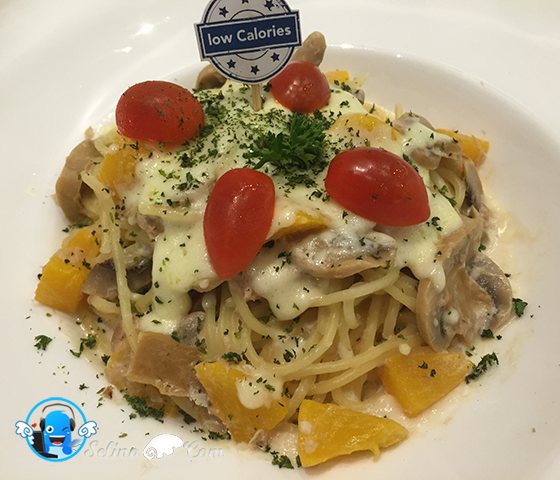 If you think that the food might not taste nice if they are low calories then you are wrong! 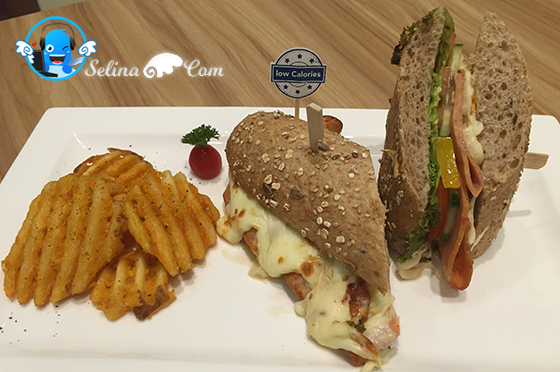 I really like their sandwiches and the flavors are so good and yummy! My top favourite sandwich would definitely be IsMe Superfruits Croissant becuase the softness of the croissant complement really well with the fruits! 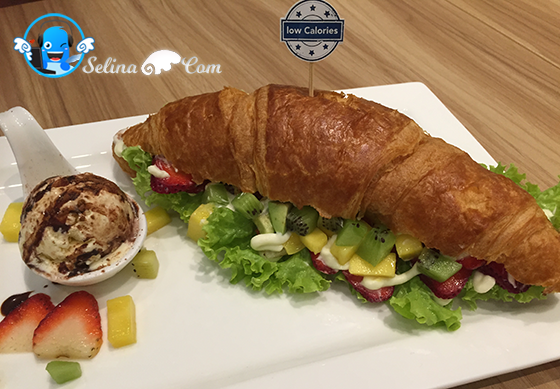 The fresh fruits has their natural sweetness and when you mixed the fruit croissant with the chocolate drizzled vanilla ice cream together, BOOM! 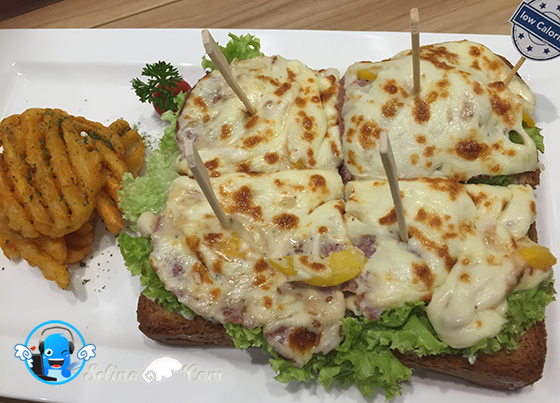 The awesome taste will make you hungry for more! 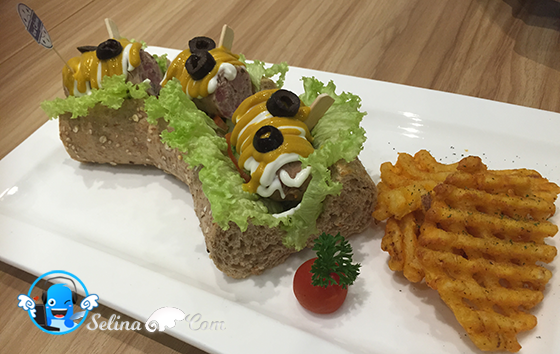 The other favorite would be Nutri-Turkey and German Chicken Thuringer Sausage. 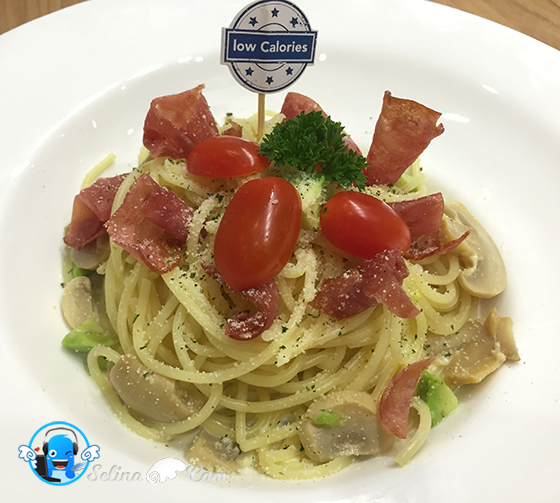 Beside sandwiches, the cafe also sells spaghetti that are low in calories too. IsMe Beauty & Cafe is selling 4 types of spaghetti namely The Tradition, Heart Booster, Fisherman's Plate and Farmer's Alternative. 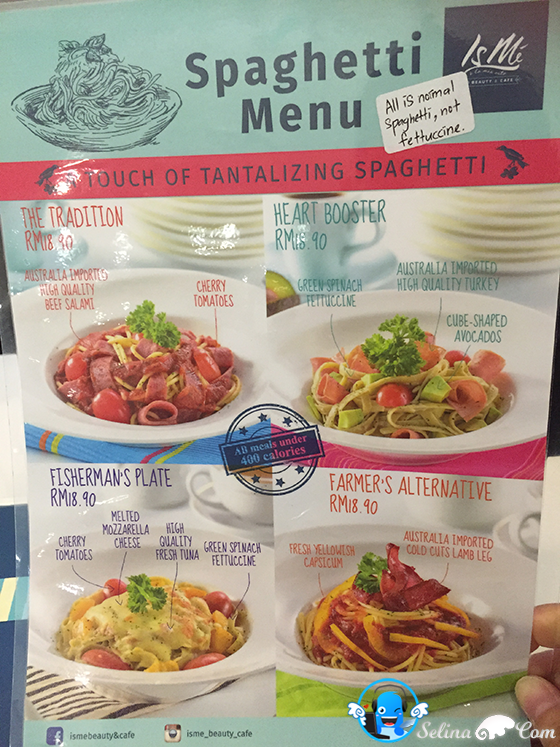 My personal favorite would be the Fisherman's Plate and Farmer's Alternative. Fisherman's Plate has mango chunk in it hence it will taste a little bit sweet, but it still complements the tuna taste nicely. 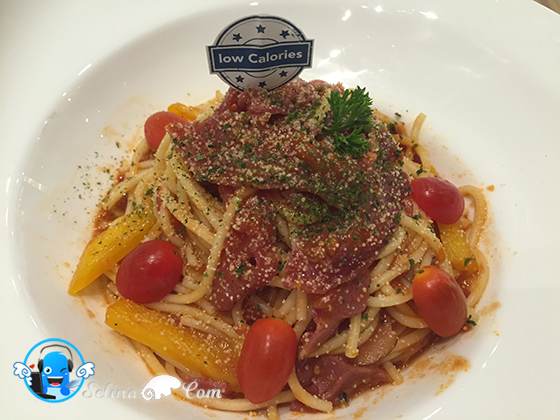 Farmer's Alternative taste like the classic tomato bolognese but this one has cold cut lamb pieces. The capsicum is crunchy and I love capsicum! The Signature IsMe coffee is the cutest bear art I have ever seen! I love how simple it is and yet it can portray the classic look of a teddy bear. 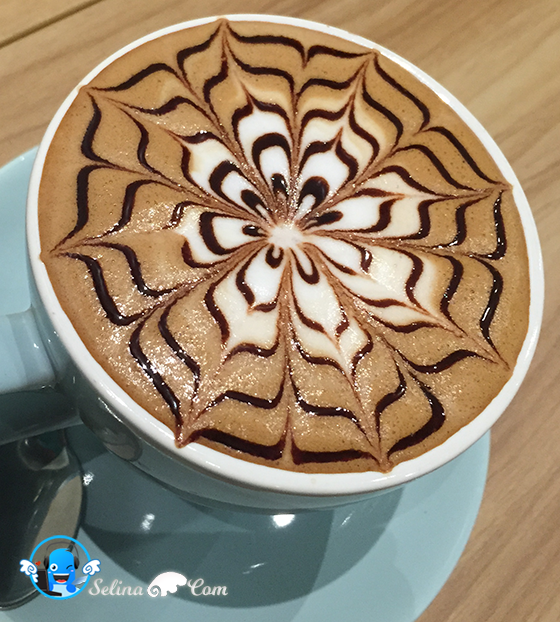 I really like all the coffee art of their drinks! Simple and elegantly designs. 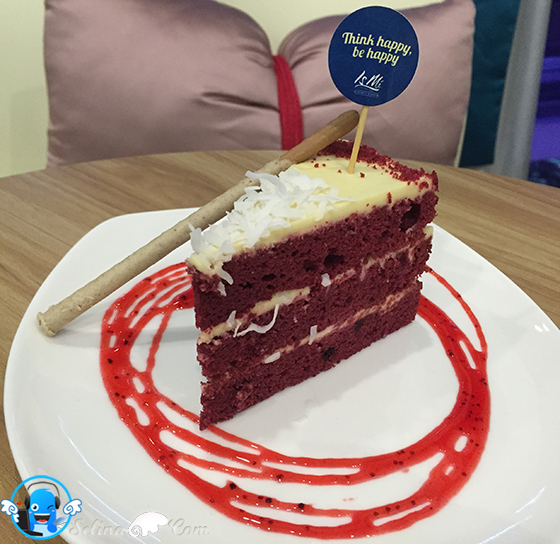 There are 2 famous desserts in IsMe Beauty & Cafe namely Rose Lychee Crepe Mille and Red Velvet Cake. 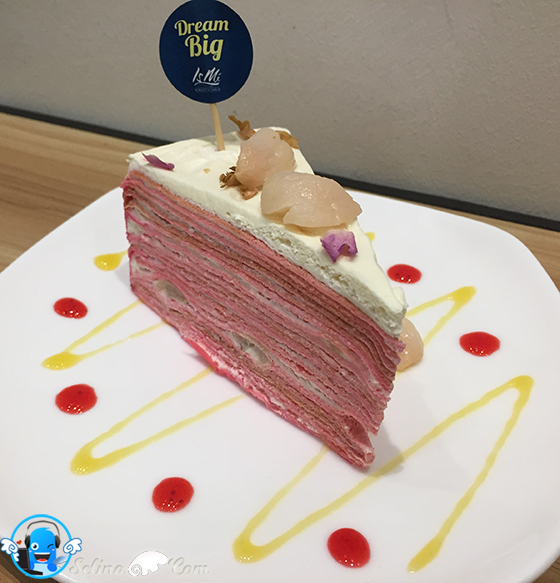 I enjoyed the Rose Lychee Crepe Mille the most because it has a well balanced scent of rose and lychee in it. Rose Lychee is ought to my favorite dessert of all from IsMe Beauty & Cafe! 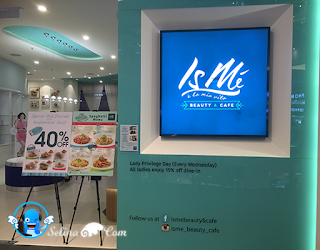 Overall, IsMe Beauty & Cafe is a great place for groups of female friends to hang out together beacuse of the great ambiance of the cafe and low calories foods that they served! For more information, Check out IsMe Beauty & Cafe facebook page for more information. The way to improve a woman's looks is through her tummy. 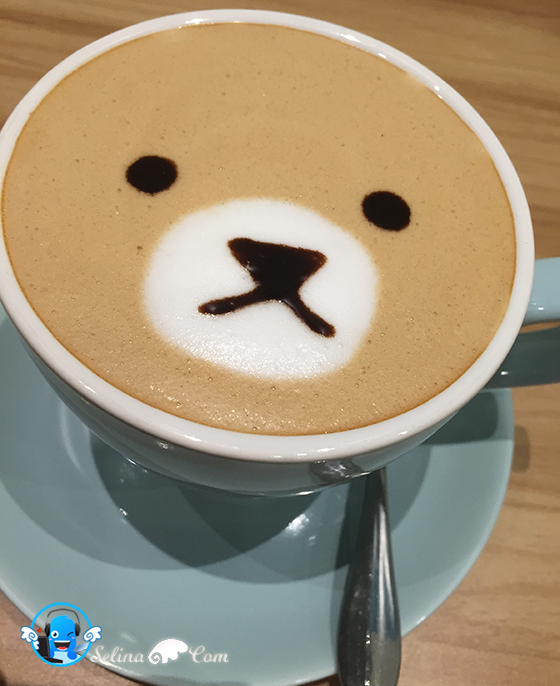 LOL I am seeing a trend in combining cafes with something else, be it beauty or chocolate, etc. Nice concept. wow everything looks yummy. 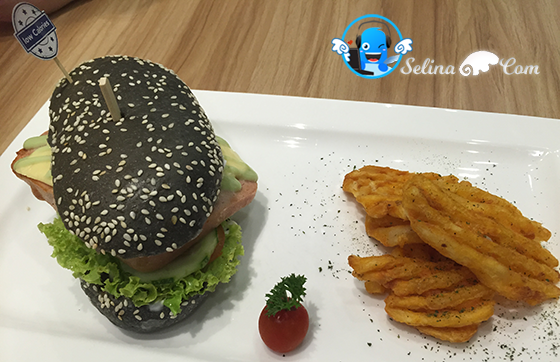 I haven't go Nu Sentral for few months, need to check out this place. I like the concept....Beauty and Food! Girly trip must be made there! 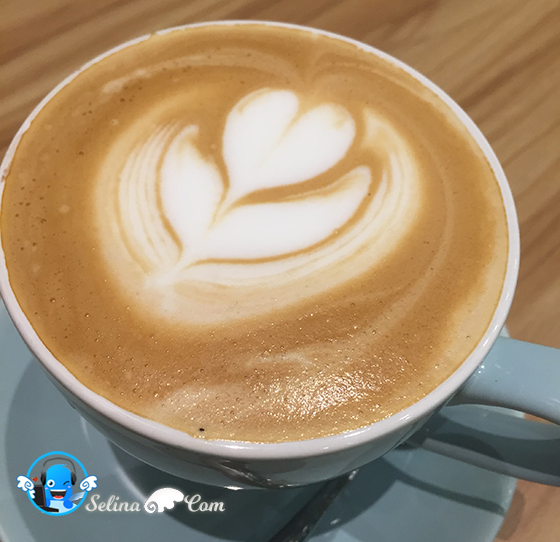 I been visited their first cafe behind Lot 10 Shopping mall and their product is awesome even try out on hand for trial purpose. Should pay a visit for this outlet in future. Wow! Wanna try it out! Can ban leng leng without starving. After read your food review, I would like to try IsMe Signature & Rose Lychee Crepe. They look lovely! The variety of food looks so good! AHHH! classic chicken got me drooling. Great food, nice pampering session... This is such a wonderful cafe! I love the cafe it's so lovely! Looks more korean style to me tho. Such a pampered day to enjoy facial and yummy food that too under one roof. 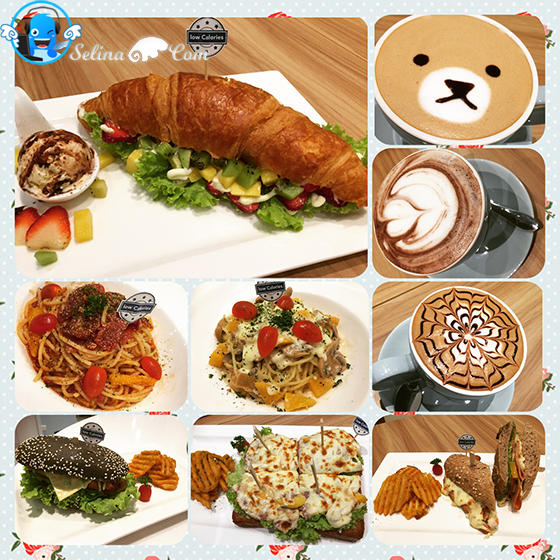 Love love love the rose lychee mille crepe cake and the rilakkuma cdrink!What's that on the Classic Chicken? Sauce or cheese? 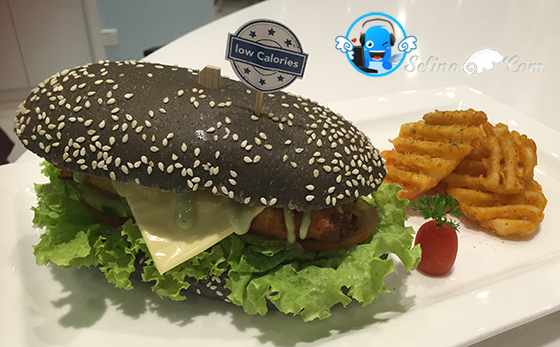 i love the food at isme cafe a lot too! so healthy and guilt free to just indulge! A facial and a meal at the same place? Fabulous! Thanks for the lovely review! I always pass by this cafe at Nu Sentral and got very intrigued. Now I know the food here so I will definitely go here next time! 40% off as staff of nu sentral ..